Personal injury attorneys in Florida are paid on a contingency fee basis, meaning you do not pay a fee for attorney services upfront. Instead, you pay a portion of whatever is recovered (if anything is recovered) either from a settlement or jury verdict. Claim assessment. A personal injury lawyer who has a wealth of knowledge an experience practicing law in Florida can give you a strong sense of whether it’s worth your while to pursue legal action. This is important because you don’t want to waste the time and expense chasing down an injury lawsuit that has a slim chance of winning. (And again – you don’t pay attorney’s fees upfront, but you could be responsible for things like expert witness fees, if those are needed to prove your case). An experienced, prudent lawyer will be able to give you a solid, educated answer on the viability of your claim. Cutting through red tape, legal technicalities. So many of these cases come down to navigating insurance bureaucracies and complicated legal procedures. Piles of paperwork aren’t uncommon. 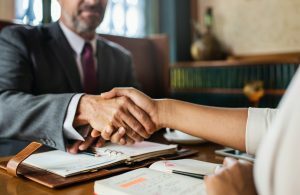 Working with an attorney who has extensive experience dealing with insurers, negotiating with other attorneys and effectively navigating alternative dispute resolutions – all that is going to ensure that process goes smoother for you. Strength of investigative team. When you have a case that may involve some complicated matter like medical malpractice or product liability or a fatal car accident – you want to know that your attorney has the resources and connections to thoroughly investigate the elements of these claims upfront so that you can be well-advised and prepared for settlement negotiations and, if necessary, litigation. If you have questions about a personal injury you have recently sustained, call our long-time West Palm Beach personal injury lawyers today for a free, confidential initial assessment.